The high cost of college textbooks has been in the news as well as research journals. There’s a movement to counter those escalating costs called Open Educational Resources. In fact March 5 – 9 is Open Education Week! 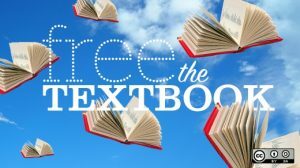 Administrators and faculty at many colleges, community colleges, and even K-12 schools, are putting high quality textbooks and learning modules online with few restrictions on reuse. Dr. Marian Feldman, History of Art & Near Eastern Studies, with help from the Center for Educational Resources Tech Fellows Program, has created open educational resources for courses dealing with Mesopotamian art history. The Bloomberg School of Public Health actively shares their OER. Other examples include Maryland, VCU, NCSU, and Tidewater Community College. Don’t worry, you don’t have to create a textbook from scratch. Below are just a few of the sites offering OERs. Please contact the Center for Educational Resources if you are an instructor – faculty or graduate student – who is interested in teaching with or creating OERs. If you’re a student and want to use an OER textbook as a supplement to your own, please contact your librarian for assistance.